Pics of the day... Moment You Fall into a Black Pool. 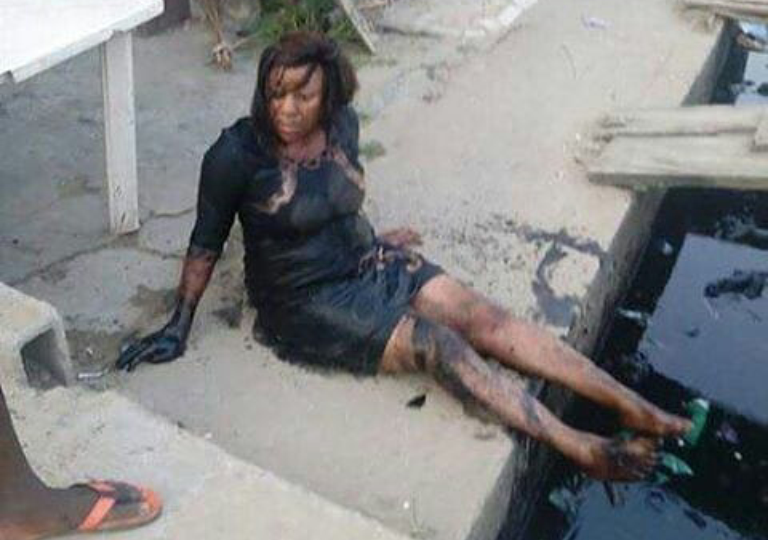 This pics as been viral since weeks... heard she was uncomfortable in her heels and so she tripped in a black pool... lolz. What will you do in her situation?? ?